I hope to make everyone who comes into my studio love Pilates as much as I do. Puh-la-teez is a fully equipped Pilates Studio offering private and group classes. We currently have 6 Pilates instructors and hold (on average) 18 group classes a week. The studio instructors are Bridget Kolshak, Jennifer McEllen, Anna Valle, Jackie Novak, Jennifer Blanes and Marti Gillen. 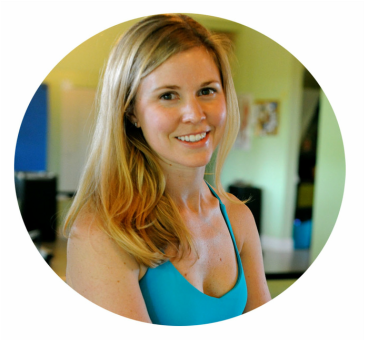 I started my business in 2007 with only one Pilates Reformer teaching private sessions out of a local Chiropractor's office. After 8 months at that location, I decided I needed my own space and moved my Reformer to a small 240 sq. ft. commercial lease space. Even though it was a small room, I was able to add 2 more reformers and a Pilates Tower. This studio and client base continued to grow over the next year. In November of 2009 I moved the studio into a 700 sq. ft. location off College Parkway in Ft. Myers. This expansion made it possible to now teach larger Pilates Mat and Tower classes. In 2012 I hired two instructors to help teach classes and to bring variety to the client's workout. In January 2013, I moved the studio to its current location. This location is double the size of the old studio. I have since added five more instructors and more Pilates equipment. I plan to grow the studio more each year with more classes, teacher trainings and equipment. Pilates Reformer - ($25) This is a 55-minute Pilates equipment class for all levels. All exercises are done on the Pilates Reformer. In this class you will complete a full body workout. The Pilates Reformer challenges your balance, core strength and flexibility. It is recommended to take a private session using the Pilates Reformer before joining the group class. Socks must be worn during this class. Combo Equipment Classes - ($25) These classes are 55-minute Pilates equipment classes for all levels. Exercises are done on either the Spring board (tower), The Pilates Chair or on the Pilates Reformer. In this class you will challenge your muscles using the tension of the springs while working your entire body. The Tower exercises are great to improve core strength, challenge your balance and increase upper body strength. The Chair is great for improving strength in legs while still giving variety to your work out and challenging your balance and core strength. Socks must be worn during all equipment classes. Pilates Triple Play - ($25) This is a 55-minute fast-paced Pilates equipment and mat class. During this class you will be doing Mat Pilates as well as exercises on the Reformer, Tower and/or Chair. It is recommended that you have experience in Reformer group class before coming to this class. Socks must be worn during this class. Pilates Mat - ($10) This 55-minute class consists of classic Pilates mat exercises fused with modern Pilates props. Each class is suitable for beginners or advanced. Modifications are given for those who need them. During this class there may be use of the Pilates Ring, Foam Roller and/or exercise ball to add challenge to each exercise. Each class is a full body workout focusing on core strength, flexibility, full-body awareness, spinal mobility and coordination.